This exhibition, which commemorates the 60th anniversary of the publication of Dr. Helen Daubmannus’s pioneering text Extinct Machines: Recent Research and Discoveries from the Late Information Age, features more than forty artifacts, all of which are believed to have been personally unearthed by Dr. Daubmannus. 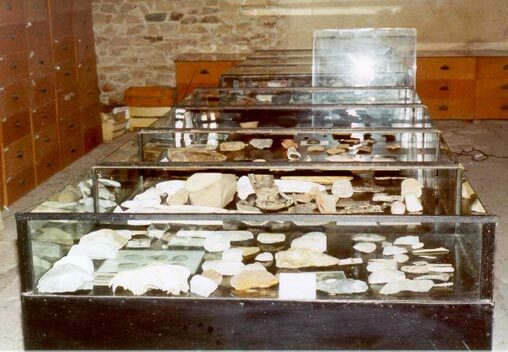 Dr. Daubmannus's artifacts and taxonomic labels are displayed here unedited, as they were in her private office at the time of her death, and thus include specimens of historical importance as well as seemingly arbitrary fragments. Her distinctive selections and interpretations, functioning as artifacts within an expansive artifact, or, collectively, like a feast eaten in a dream, provide a rare window into both the working processes of this visionary archaeologist as well as the civilization which forged them. These artifacts have never before been displayed publicly and are shown here with the generous consent and support of her grandson, Robert Daubmannus. Please address all inquiries to Anne Percoco at annepercoco@yahoo.com.